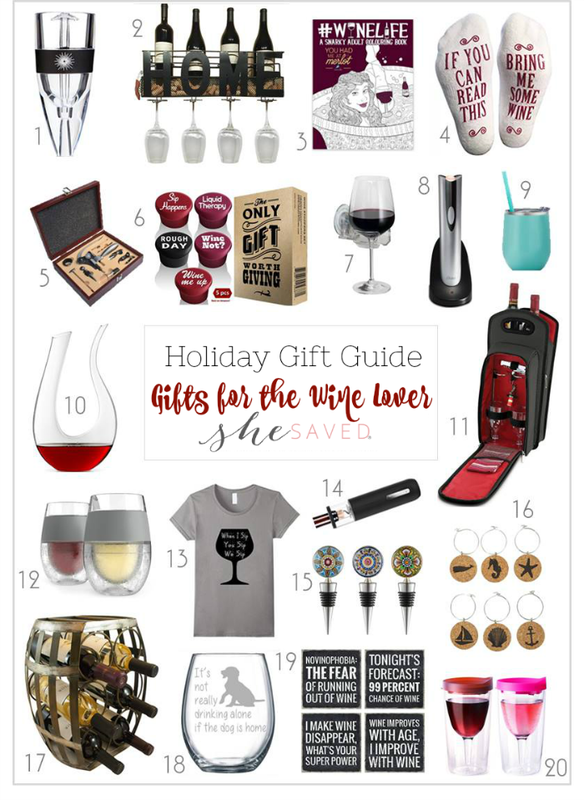 If you have a wine lover on your list, then this round up of gift ideas for the Wine Lover might just be the perfect way to put a huge smile on their face come Christmas morning! I think that part of giving the perfect gift is putting some thought and creativity into gifts that will not only be enjoyed, but also make the recipient of your gift feel that you put time and thought into what you were giving them! Also popular is my gift guide for the fashionista and make sure to check out my gift ideas for TEEN GIRLS and my gift ideas for TEEN BOYS. And for those caffeine fans, don’t forget to check out my top gift ideas for the Coffee Lovers! Have a DIY lover on your list? Make sure to check out my top gift ideas for Crafters!